Gollum, Bilbo, Frodo and most likely all of the others that bore the Ring, made the happy discovery that they would not age as long has they had it in their keeping. Bilbo's age catches up with him nearly immediately after he gives the Ring to Frodo. This is the 'false immortality', or as the eminent scholar and historian Robert Lawlor calls it, 'premature immortality,' that is both an indication of our desires for the Golden Age and a trap that will condemn our souls. This false immortality destroys the true gift of humankind, which lies in the possibility of the ultimate re-union with the Divine. It cannot be overemphasized that Tolkien equates the Ring with the Machine. Today, at the end of the Fourth Age, the Ring encircles us like the fence that surrounds the unicorn in the famous French tapestry. Bewildered by its beauty and astounded by its power, it seduces us into its trap. Like the Ring, technology offers us a 'false immortality'. Like Sauron and the corrupted wizard Sauruman, unashamed of their audacity, our technocrats promise us that this 'false immortality' equals freedom and life. Just open your eyes and look around. The purveyors of technology constantly promise a world of free energy and genetic miracles that will extend life and feed the world. Indeed one of their main promises is that they can eventually create an immortal human being. Technocratic philosophers even preach that it will one day be possible to download the human soul onto a microchip. This is the final seduction of the Ring or Machine that Tolkien knew would herald the end of this Age. "No taste of food, no feel of water, no sound of wind, no memory of tree or grass or flower, no image of moon or star are left to me. I am naked in the dark, Sam, there is no veil between me and the wheel of fire. I begin to see it even with my waking eyes, and all else fades." It is the insertion of Sauron's Ka into the One Ring and its subsequent invasion of and supremacy over the 'free will' of both Gollum and Frodo that in the end lead to Saurons demise. 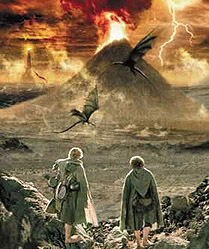 For even though Frodo, as he stands at the Crack of Doom, is overpowered by Sauron's dark force embedded in the Ring and chooses to deny the quest and keep the Ring for himself, it is his pity, generosity and compassion towards the miserable creature, coupled with Gollum's all-consuming greed that brings about the destruction of the Ring. With this destruction, comes dissolution of Sauron's power. In the ancient teachings on the Four Ages, as the cycle of time unfolds, the world and its inhabitants take on greater and greater density and therefore 'magic' localizes into more and more dense material. The Ring is the perfect embodiment for the densification of these magical energies. Indeed, as Frodo gets closer to Mt. Doom the Ring grows heavier and Frodo grows more tired. 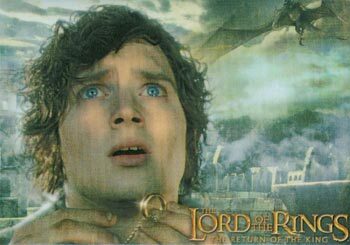 Frodo himself begins to show signs of corruption the longer he bears the Ring. This corruption carries its weight all the way to the end when despite overwhelming odds, Frodo, Sam and Gollum actually make it to the brim of Mt. Doom. At this point Frodo apparently abandons his quest to destroy the Ring. 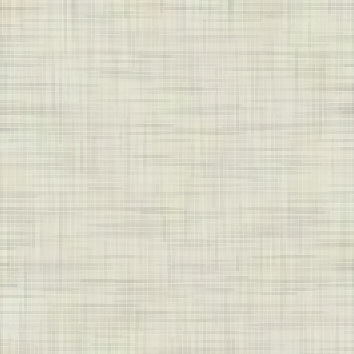 For now the band of metal has become a prison from which Frodo cannot escape. 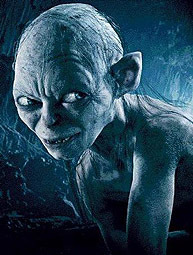 It is only through the greed of Gollum that the Ring falls into Mt. Doom. And this is in essence Tolkien's message. That even though the odds are overwhelmingly against us, even though greed and corruption consume our very souls in this Final Age of the cycle, even though everything appears to be lost and the forces of darkness are about to lay claim to victory, somehow, someway good triumphs. Tolkien appears to be saying that there are superior forces that have our interests at heart and that these superior forces are guiding our race and our species. These forces, that occupy what we might refer to as 'upper earth', wield their invisible hand to insure that Frodo succeeds and that we survive. Tolkien tells us that even the smallest of us is important. That creatures like the Hobbits Frodo and Sam can virtually alone defeat the powers of darkness and that they have an invisible ally that makes sure that they succeed. 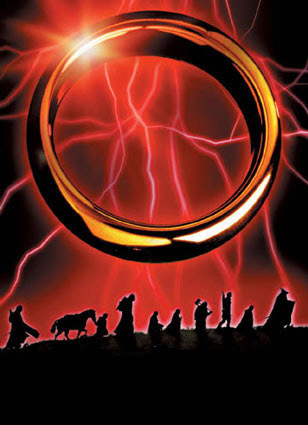 It is no coincidence that the film version of The Lord Of The Rings was released in 2001, 2002 and 2003. The Cross of Hendaye marks the Autumnal equinox of 2002 as the climax of history. Utilizing the Magical Alchemy of Light and sound, Peter Jackson's filmic representation of The Rings Trilogy bookends that year perfectly. 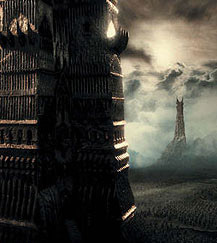 A few months before the initial release of the first film, the end of the Fourth Age was inaugurated by the destruction of the Two Towers in New York City. Fulcanelli warns us in Le Mystere des Cathedrales that the end of this Age will soon be upon us and that the northern hemisphere will be tried by fire. 28 As we are writing this article, the northern hemisphere is just completing its hottest summer in 500 years. As an anomaly this would not be disturbing, but the fact is, that in the last 11 years since 1992, each summer has grown hotter than the one before. Due to Greenhouse gasses, output from the sun, or perhaps just because it's the end of the Age our planet is being burned up just like the Ring in the fires of MT. Doom. From the alchemical perspective of the cyclic flow of time, out of the darkness of this Age of Iron, a new Golden Age of humanity will begin. The 'quality of time' will be altered and in an instant our reality will be transformed. The true Masters and adepts of spiritual traditions from around the world will tell you that the seeds of this transformation exist within each and every human being, in fact it is for this reason that they call the human body the 'sacred alchemical vessel of transformation'. For having been gifted by the Divine with 'free will', in every moment, we have the power to choose our own path. As Frodo, Gandalf, Sam, Aragorn and their friends did in The Lord of the Rings, we must open our hearts and walk the Path of the Light. Not because it is easy, but because we know that it is right. We are all Frodos, each and every one of us. 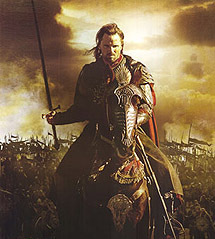 Like Frodo, we have within us the potential for great deeds of courage and self-sacrifice. Despite everything, Frodo does destroy the Ring of Power. Sauron's dominion is ended, the world is cleansed and a new Age begins. This is the beauty of Tolkien's tale. Through this eloquent and powerful work of Art, Tolkien proves that he is of the lineage of great artists who have graced the Age of Iron. Steeped in alchemical principles and an ancient spiritual tradition that reaches back into the Third Age, both Tolkien's and Jackson's Lord of the Rings are harbingers of where we are from and also where we are headed.